In March 2017, a new 1,000TPD edible oil refinery plant built by Myande Group for Daodaoquan started stable operation, marking the successful completion of the 5th 1,000TPD edible oil refining production line built by Myande. Earlier in May 2017, one 1,000TPD rapeseed, soybean preparation and extraction production line built by Myande started operation and achieved production target. Daodaoquan Grain and Oil Co., Ltd. is a comprehensive enterprise engaged in producing edible vegetable oil and related by-products, as well as trading, warehousing and logistics of oil and grain produce. It is one of the few public listed companies in edible oil industry in China. Daodaoquan focuses on edible vegetable oil processing technology research and innovation. This project adopted International Competitive Bidding (ICB) procedures in the form of public invitation, with "high standard, strict requirement, modernization, low pollution" as evaluation criteria. With its business concept featuring meticulous manufacturing, optimization and innovation, team service, Myande won the contract and worked together with Daodaoquan to create a modern and intelligent plant that will make food healthier and safer. The customized factory intelligent control system designed and supplied by Myande to Daodaoquan realizes all-round intelligent automation control from raw material procurement to product sales. The high integration between information technology and industrial technology, deep intertwining of communication network, computer technology, automation technology and software system result in a new value model. It forms correlation among resources, information, goods and people, and combination of virtual and realistic situation, to minimize the dependence of manufacturing sector on labor force and cost of circulation. Therefore, all-round control can be realized from raw material procurement, process inspection, data collection, processing process management, finished product packaging to the direction of product flow. 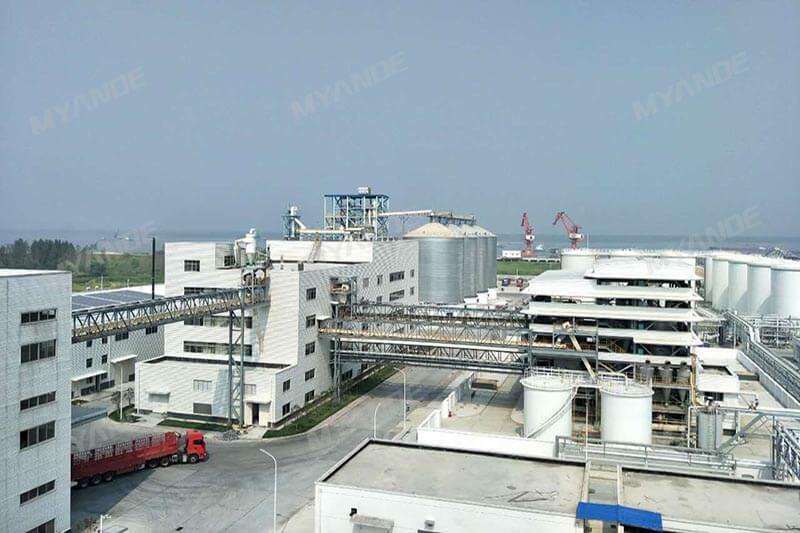 In the process of constructing the intelligent factory for Daodaoquan, Myande strictly follows chemical standards and industry standards, controls each manufacturing process in accordance with quality management system. All aspects of the construction process, including process design, three-dimensional simulation, raw material procurement, manufacturing and on-site installation were precisely controlled to the purpose of ensuring that every product especially core equipment meets its designed technical standards.